With ArtRage you can paint with oils and watercolors, sketch with pencils, spray stickers over your canvas, and much more. Stencils and rulers let you create precise shapes or smooth curves freehand. Tracing and Reference images let you load photos to recreate either by eye or by letting ArtRage select colors for you as you paint. For professional users, ArtRage offers Layers and Layer Groups, Layer Blend Modes compatible with the PSD file format, plugin Filter suport and more. ArtRage Studio: Ideal for artists who want to work with the wider range of tools Studio and Studio Pro offer but do not want the filtering and detailed editing options Studio Pro provides. 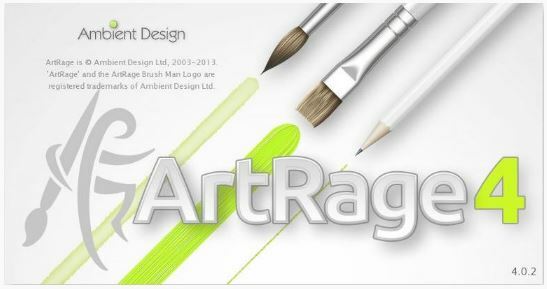 （藝術家繪畫軟體）ArtRage v4.0.2 Retail Languages: English, French, German, Dutch, Spanish, Italian, Japanese, Russian, Manual in English.